When planning for Medicaid there are two options. The first option is to plan ahead for the possibility that you will need these services at some point. Unfortunately, the vast majority of people don’t do this. The more common option is Crisis Medicaid Planning, which takes place when you or a loved one is about to be admitted into a nursing home, or recently has been, and you need Medicaid services right away due to the fact that you will be required to begin private pay within one month. This type of experience can occur because of a catastrophic health condition, a death in the family resulting in someone being unable to remain at home, and any number of other things. When these types of events occur, most people think they will be able to simply fill out some paperwork and Medicare will start paying the expenses. Unfortunately, this is not the case. Medicare is great for some things, but when it comes to long-term care services it typically pays very little, if anything at all. For this reason, you will likely need to attempt to qualify for Medicaid, which is only possible after meeting a variety of asset and income requirements. Helping clients qualify for Medicaid in a crisis planning situation is one of the main services we provide. When you work with us we will discuss your specific situation, or that of your loved one, and come up with an effective plan of action based on your goals. We can help you to qualify for Medicaid while also protecting many of your assets, which can be a great comfort. 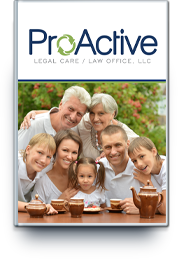 Over the years we have helped many clients with Crisis Medicaid Planning and other elder law services. Please contact us so we can help you as well. We hope to hear from you soon.